A well-written text is the best calling card for your product, service or research project. Our proofreaders ensure that the reader’s attention is focused on the content rather than on style issues or spelling mistakes. 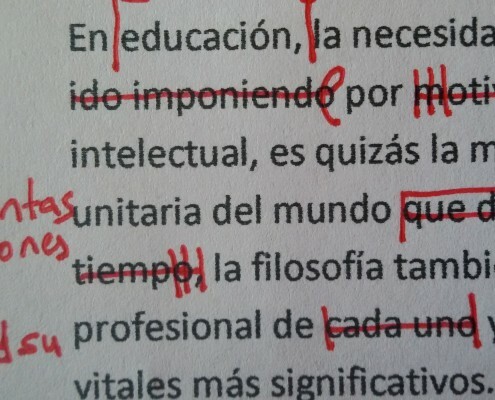 Correction of orthographic and typographical errors: we correct spelling, grammatical and typographical errors, as well as unifying graphic criteria and harmonising the format. Style correction: we improve the text and enrich its vocabulary, adapting the contents to its target audience and purpose. Entrust your theses, presentations and advertising material to our team of proofreaders in all the main languages.